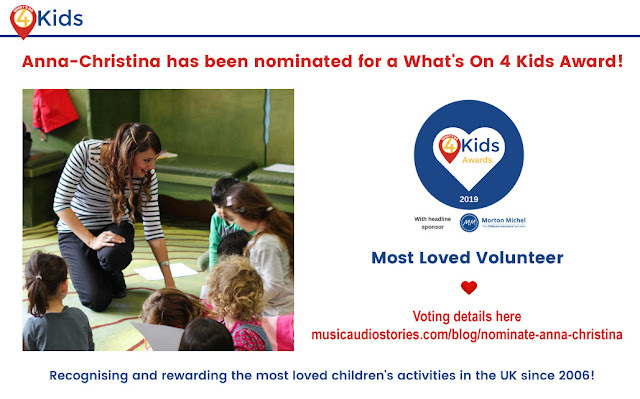 Anna-Christina Music: Get one of my Audiobooks for free! Get one of my Audiobooks for free! 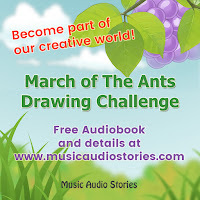 This month my company, Music Audio Stories, has launched a children's drawing challenge! This is your chance to download one of my stories for free and submit a drawing of it, which will then be published on our website. I really love this idea. It's a great way to get kids involved. When I have visited nurseries and schools with my Story Time, they have been so excited to see their drawings online the next day. I would have loved something like this when I was a kid! Subscribe to get your free Audiobook here. Listen to the story with your child. Join in by marching to the music. Trust me, they'll love this! Encourage your child to create a drawing of the story. They can draw Sid the ant and/or any of the scenes in the story. Label the drawing with your child's first name and their age. 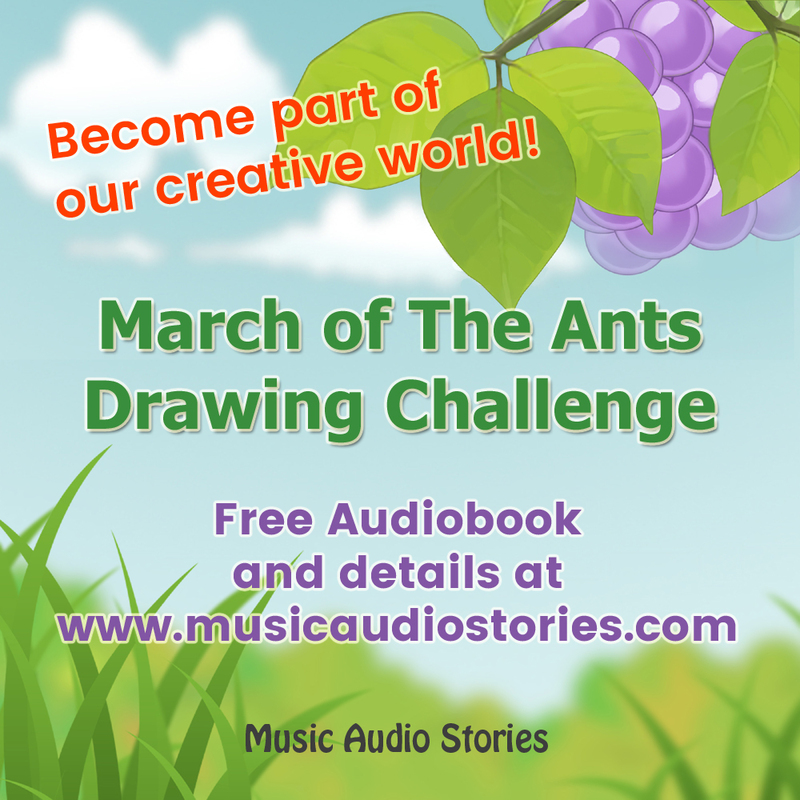 Send us the drawing via Facebook, Google+ or Tweet us @musicaudiostory and we'll add the drawing to our Kids Corner making it part of our creative world forever! If there are any "big kids" out there who want to join in, please do! We welcome everyone's drawings. Kids, nieces, nephews, grandchildren... everyone's invited to join in! This week my band was featured on radio and today, another one of my Audiobooks is being aired! I'm so happy to be part of Active Kids Radio. This will be the first time my story, Robert & Johnson's Space Adventure will be featured on radio! North Carolina based Radio Active Kids is a radio program for kids. But not just for kids - for everyone! They play intelligent kid's music for the young and the young at heart. Join host Sagan and the gang from 8-10am Saturday 10th March in an interactive show that explores all things kids. The show will feature cool kid-friendly tunes, storytelling and comedy! Requests and call-ins are a must! If you can't catch the show live, an archive will be available for 1 week after the broadcast date, starting on Sunday.